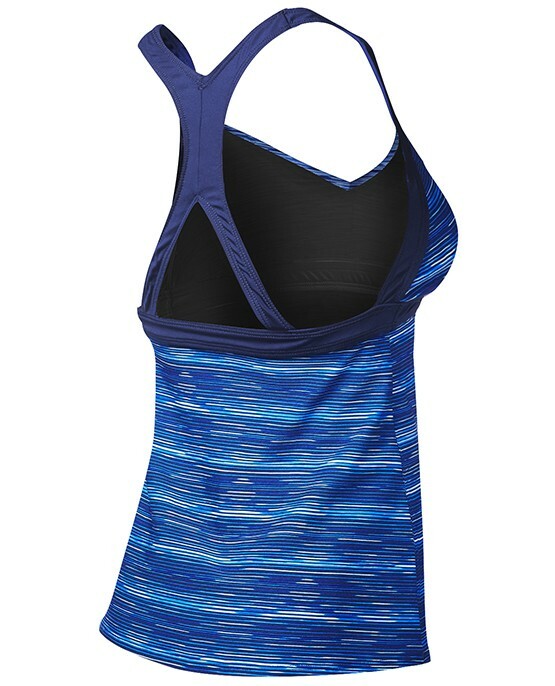 Designed for a dynamic lifestyle, the TYR Women's Ambu Tank - Cyprus caters to adventurists both in and out of the water. From the paddleboard to the yoga mat, the TACY7A features an ideal blend of comfort and function. With a modest silhouette that includes a V - neck cut, racerback with support straps and removable contour cups, this tank is inspired by women who aren't afraid to sweat it out. Created with UPF 50+ technology, the TACY7A ensures flattering coverage and sun safety for every outdoor activity. This suit is of very high quality, and sizing is as expected. I love that it can be worn both in and out of the water. From the photo of the model, it looked like the tank top came with a bottom. How can I wear it as a swimsuit with no bottom? Is this a mistake or mis-advertising? Nice, but not my cup of tea. 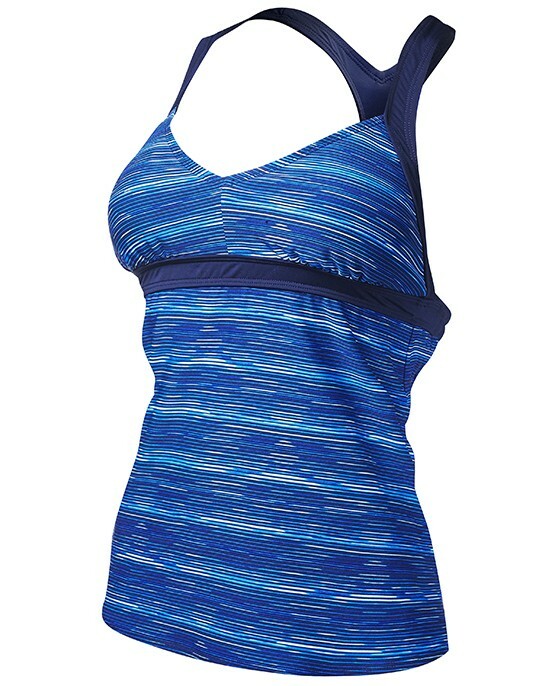 The quality and style of this tankini top is very good. For me, TYRs adjustable strap tankini tops fit better. This is the primary reason for my return. I think this style would be fine for someone who is smaller chested. I am a full C/small D cup. I dont feel this top had enough support. Quality is product is good but in not true to size.